The focus on Black Friday is always the deal. The best part about Black Friday is that we no longer have to wait in line in the cold and instead can purchase almost anything online! 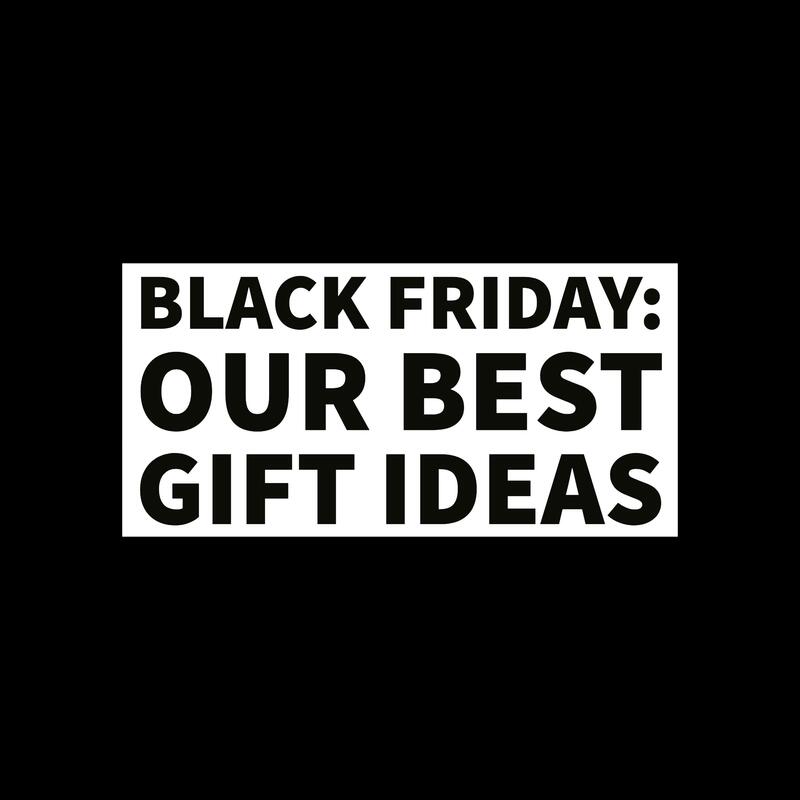 For us, however, we wanted to go beyond the actual discount you are receiving and give our best ideas for meaningful gifts that have impacted our lives positively. It seems like everyone has one, except I ask my friends and the majority still don’t own it. The Instant Pot makes cooking incredibly easy - and it’s really tasty too. All you need to do is load up your cooker with protein, vegetables, and liquid. My wife Courtney loves making hard-boiled eggs in it too, as the shells peel off really easily. I would recommend that you get the larger 8-quart size, as it works out well for dinner parties. Try some beans in it, and you’ll never go back to canned beans again! If you need a gift idea that’s a bit smaller but along the cooking path, I use my Thermopop temperature gauge all the time. It dumbfounds me why people think they can cook by feel or sight when they can find out the exact temperature and know that it’s done...dry pork chips no more! Don’t worry, poking the meat doesn’t release all the juices. I’m not one to go shopping on Black Friday because we go to Tennessee every year and stay in a town where the only place to shop is Walmart. But when my kids need something, I always seem to end up there on Black Friday and from time to time, I will browse the deals they are offering. I found something called Circle that I think is the best Black Friday purchase for your family. This device is used to monitor and control content and time online for any device that your family uses. We have four kids that use iPads, computers, and iPhones - that is a lot of content and devices to monitor. Circle allows you to do all of that with one device. When it is time for everyone to come to dinner, you can just shut down the access for all devices and ensure that everyone comes to the table and at least tries to be nice to one another! A meaningful gift that I have received was from my dad. It was a leaf blower - in particular, this leaf blower. My parents were visiting from Michigan and couldn’t help but notice that my lawn was completely covered with leaves. I have a young daughter, so I kept putting off my fall raking because whenever I was home I wanted to spend my time with her! My dad has a tool or equipment for just about any job imaginable and after a quick look at my lawn he asked, “do you want an early Christmas present?”. This led to a trip to Home Depot to pick up a commercial-grade leaf blower. Why was this gift so impactful? I was able to finish the yard in less than two hours and get back to what mattered most - spending time with Avery. I used to rake the old-fashioned way and it would take half of a Saturday on three separate fall weekends. The gift was more than just a leaf-blower, it was the ability to spend more time with my family. If you have known me for any period of time, then you are probably aware of my love of golf. It is beyond the “passion” stage at this point and getting dangerously close to obsession stage - to the extent that I have and will play golf in just about any weather condition. Because of this, my wife decided to purchase me a high-quality rain suit for Christmas a few years back. I was thrilled! If you have ever been to a Badger game in the rain or a Packer game in the slush and snow, then you know the feeling of being cold, wet, and miserable. I never again have to be in that situation. And while it is painful to spend $200-$300 on something that your gift recipient may only wear a few times a year, they will forever be grateful. This falls into the “purchase once and never have to purchase again” category. This gift made a huge impact on me because it was given to me with the single purpose of making me happier playing the game I love. If a rain suit doesn’t fit into your gift giving plan this year, try and give gifts that allow people to continue to chase their passions!